Evil Wizards! Black Magic! Betrayed Queens! Conniving Husbands! 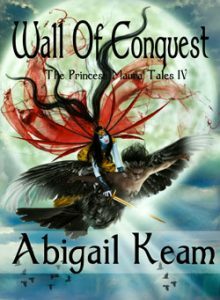 Book 3 of The Princess Maura Tales—a five book saga. 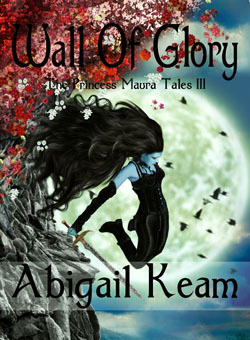 If you love sword/sorcery and action/adventure stories, Wall Of Glory should be your next read. Empress Maura is a fugitive on the run. She has escaped the confines of the palace at a great cost in lives, but her escape is paramount. Everywhere, Bhuttanian soldiers search for her, but she must elude capture and forced return to her dashing, but deceitful husband Dorak, Aga of the Bhuttanians. Maura truly loves Dorak. He was everything a woman could want––handsome, cultured, witty, and courageous. He lacks only kindness. Maura couldn’t dampen the raging ambition inside him. She knows that eventually Dorak would be as corrupt as his father, the Aga Zoar. When Dorak accuses her of sexual improprieties, Maura realizes that she has to flee by any means necessary to reunite with the Dinii, a warrior bird-like people, and search for the fabled plant, the Mother Bogazkoy, in order to “mate” with it. Only the Bogazkoy could infuse her with the power to combat the Black Cacodemon, Dorak’s evil wizard, and free her nation from the tyranny of Bhuttanian rule. Only by saving her country can Maura hope to save Dorak from himself. Can Maura really rescue both Dorak and her country? Or must one be sacrificed?